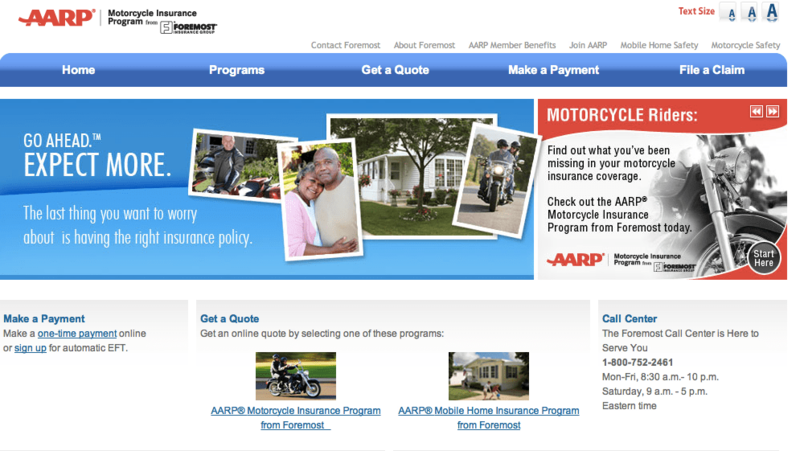 Aarpforemost.com is the official site of AARP Mobile Home Insurance Program, a company specialized in providing home and vehicle insurance programs for you. On this website you can find all the information about this insurance company and the services they provide. Aarpforemost.com is the website you should pay a visit to if you are interested in insurance programs. On this website you can find details about the services provided, including mobile home and vehicle insurance plans, as well as property and casualty insurance programs. Are you looking for an insurance company? Would you like to change your house insurance program? If that is the case, you have come to the right site. Aarpforemost.com is an insurance company that offers different insurance plans for you to choose the one that fulfills your needs. In conclusion, if you are looking for property and casualty insurance programs, feel free to stop by this site. UPDATE: We’ve been informed by one of our readers that as of today, May 1, 2012 the website seems to be down. If you see it back up (or if you can acces it alright), please do let us know in the comments section below. Thanks!